Why choose when you can do it all in the same trip! 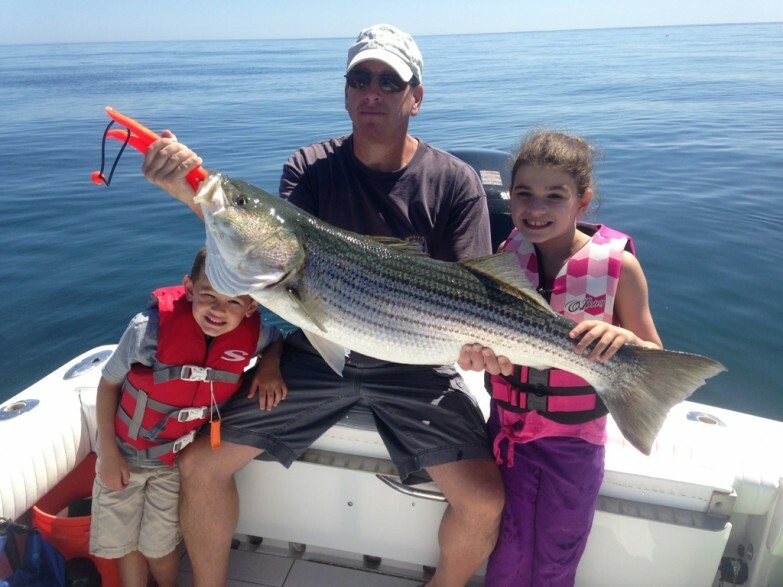 The family fun trip consists of an hour of whale watching, an hour of fishing for Striped Bass and Bluefish and an hour of seal watching. Starting from our launch at River Road in Orleans, we will head out through the beautiful Pleasant Bay estuary. Pleasant Bay is a shallow estuary with winding channels bordered by incredible white sand beaches on the east side and forest on the west. Half a dozen islands dot the clear blue waters of the bay. Enjoy the scenery and bird watching as we cruise down to Chatham Harbor and head out to the Atlantic ocean through one of the two inlets. 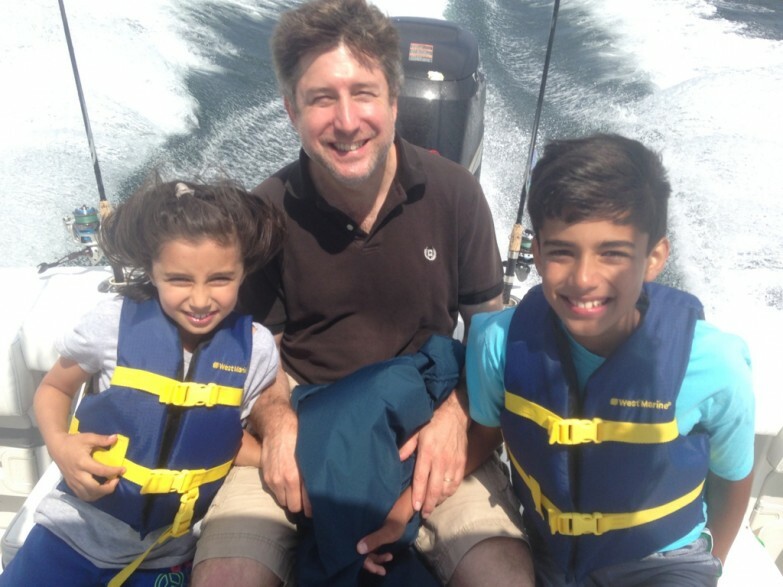 A short (usually) and fun (always) boat ride offshore puts us on the summer feeding grounds of the whales. All eyes in the boat are on the horizon as we look for the first telltale white spouts that lead us to the whales. 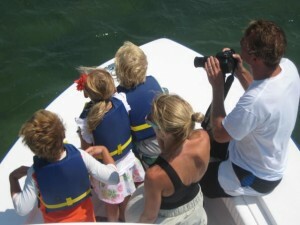 It’s usually the sharp eyes of the youngest crew members on board that earn the right to yell “thar she blows”!! 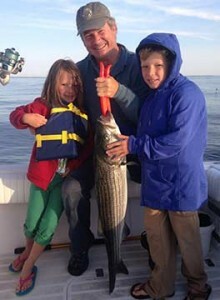 After spending some time with the whales, we will head back inshore and find some Striped Bass and/or Bluefish to have fun catching. (Hopefully allowing you to go home with some delicious fillets to put on the grill!) I have all the fishing gear that we need on board and love to teach new anglers of all ages the joys of fishing! On our way back we can visit the huge seal colony in Chatham. Thousands of Gray Seals make the sandbars of Chatham their home. They are relatively fearless and will swim right up to the boat. The baby seals seem to be fascinated when I have kids on board the boat and come closer than they do with adults, proving that young mammals of many species like to play together! 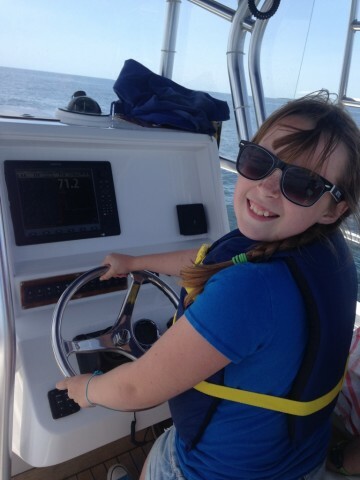 Family Fun Trips are completely customizable. 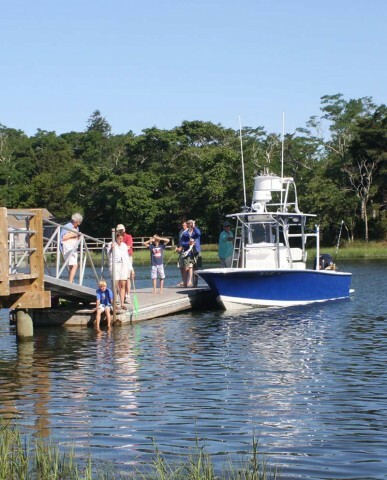 We can do any of the fun things mentioned above, or just take a long scenic boat ride around Monomoy Island (south of Chatham) and enjoy a quiet picnic. I grew up in Pleasant Bay going out on the water to play for the day. We will figure out exactly what combination will be best for your “crew” to have a blast! 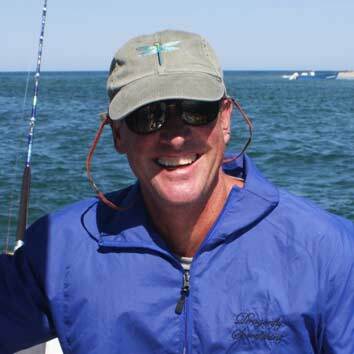 Come enjoy a great introduction to the marine ecosystem of Cape Cod and the joys of boating.